Ooh we’ve got lots in the pipeline at the mo! 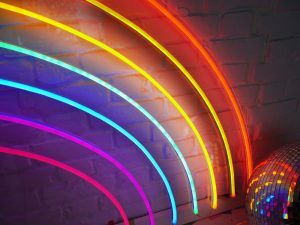 One of the recently finished props is this fabulous giant neon rainbow. We love it and luckily for us it seems you guys adore it too. 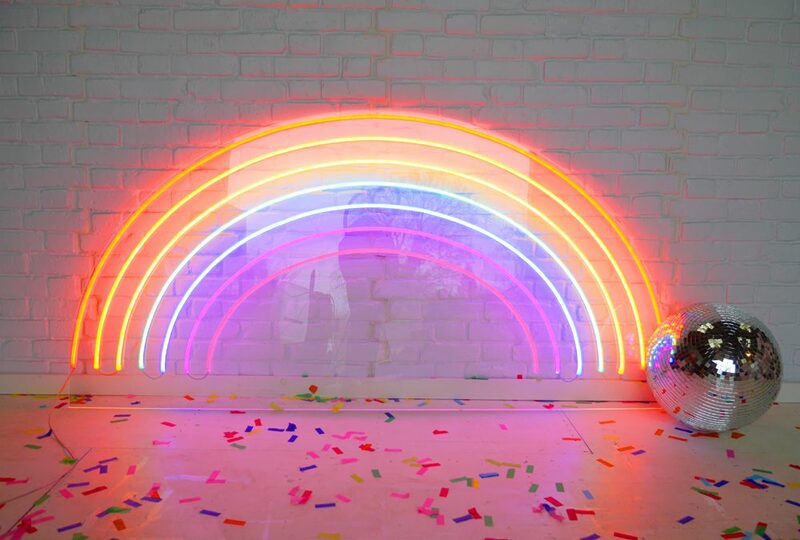 We have been bathing in the colourful rays of instagram love for this piece. 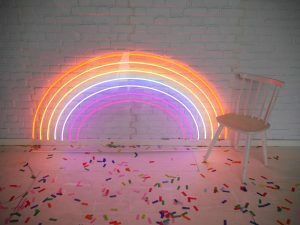 You really can’t go wrong with a large multicolour neon prop though can you!? It works for weddings, it works for parties, it works for events…. gosh darn it it works for everything! Find it on our hire section now!